I wrote this book in hopes that it will encourage more people to join this industry and to provide needed information for others. 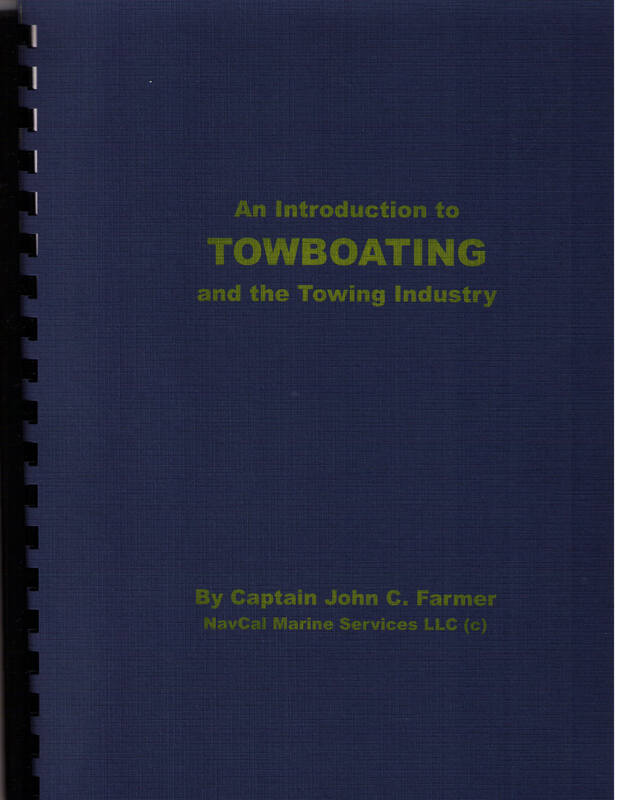 There are numerous books on Tugboats (see appendix 1) but I have not been able to locate one on Towboats. Everyone loves and remembers the small yet powerful Tugboats primarily because of the association with the much larger vessels that they help maneuver in docking and undocking situations. The Towboat in much less well known and appreciated. Towboats have been around since the eighteen hundreds and are a major part of the United States transportation infrastructure. Probably the reason they are not as well known is that unless you live by a river or the Intracranial Waterway you may not have ever seen a towboat. They just do there job day after day with very little recognition. Occasionally the news, if you live in a river area, may report that a barge hit a bridge often with little damage. Without the existing barge industry our highways would be even more congested than they are now. There is a move underway to try to expand the use of barge transportation for inland shipping of containers that arrive at our ports. This would certainly be a move in the right direction as you will see by reading this booklet. If you are involved with shipping, responsible for legislation, interested in the “brown water” marine industry, are looking for a rewarding job, or just plane curious I strongly encourage you to read this book. Our book (ISBN 978-0-578-09330-7) is available for $21.00 plus shipping. The most current and authoritative source of inland river towing information is “the WATERWAYS JOURNAL weekly” magazine published since 1887. They are located at 319 N 4th St. Ste. 650 St. Louis, MO 63102 and can be reached by email at info@waterwaysjournal.net, by phone at 314-241-7354 or by fax at 314-241-4207. The subscription price is $39.00 per year for this excellent weekly publication. They also have a number of very helpful books listed below. Another way to keep up with the inland and offshore towing industry is “WORKBOAT” magazine published by diversified communications monthly. Their main office is located at P. O. Box 7438, Portland, ME 04112. Their knowledgeable editor, David Kraph can be reached by email at dkrapf@divcom.com, or by fax at 985-624-4801. A good source of general marine information is “PROFESSIONAL MARINER” Journal of the Maritime Industry. The cost is $29.95 for nine issues per year. They can be reached by email at professionalmarineR@pcspublink.com or by phone at 866-918-6972. Inland River Guide by the WATERWAYS JOURNAL was used in researching this project. It lists Barge & Towing Companies, Terminals, Fleeting/Harbor/Tankermen, Shipyard/Repair Facilities, Contractors/Dredging, Refueling/boats Stores, Brokers/Surveyors/Insurance/Schools, Divers/Salvage/Pollution Control, and Gov’t Agencies/Associations/Distributors/Manufacturers/ Services. It is over 600 pages long and packed with useful river information. Inland River Record by the Waterways Journal contains over500 pages of stack logos and detailed information ( screws, built, by, where, size, engines, gears, owned by and where their office is located) for river towboats and passenger vessels. 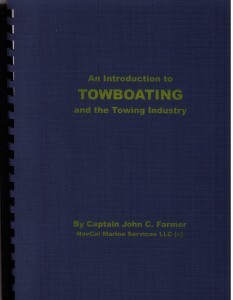 You can also find information from the C G Towing Vessel National Center of Expertise at TVNCOE.